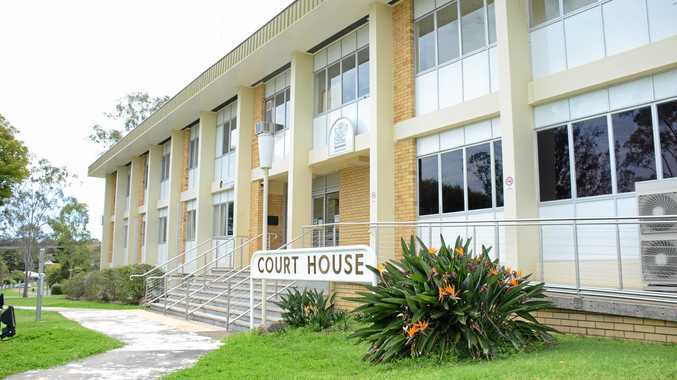 A PIECE of equipment once owned by a South Burnett sporting legend now has a proud new home. 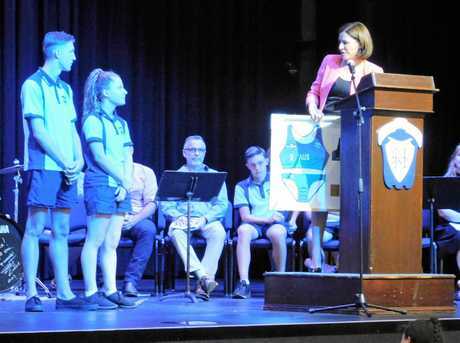 Member for Nanango, Deb Frecklington, presented a swimsuit uniform worn by Kingaroy expat, Taliqua Clancy, to Kingaroy State High School this morning, November 6. Clancy took silver at the 2018 Commonwealth Games in beach volleyball. Ms Frecklington purchased her iconic playing suit at a LifeFlight fundraiser. 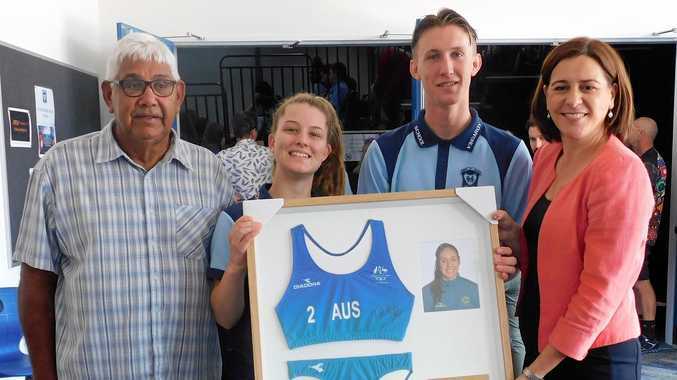 "This is a fantastic piece of memorabilia which was recently donated by Taliqua's grandparents, Jocelyn and Robert Clancy to the South Burnett Lifeflight fundraising dinner in Kingaroy,” Mrs Frecklington said. Mrs Frecklington said the community had many reasons to be proud of Clancy. "It is so important we recognise and support our home-grown sportsmen and women and the results they are achieving on the international stage,” she said. "Taliqua is a Kingaroy girl who is doing remarkable things in the sport of beach volleyball. She is the first indigenous women to represent Australia in the sport of beach volleyball. She made the quarter-finals at the 2016 Rio Olympics and the grand-finals at the Gold Coast Commonwealth Games,” she said.